Shortness of breath shouldn’t stop anyone from living their dreams. Host a local World COPD Day event to raise awareness of COPD symptoms, and what can be done to live well. Feeling short of breath is a common symptom that can make everyday tasks a challenge – but there are things you can do to help. Don’t let breathlessness stop you from living your dreams. Start taking the important steps toward a better quality of life this World COPD Day. 1 in 7 people over 40 have COPD, however many don’t know they have it. People often mistake their symptoms as signs of ageing or lack of fitness. Early diagnosis is critical to improve outcomes and quality of life. Host a lung function screening or information stand this World COPD Day to help raise awareness of lung health and identify people at risk of COPD. Chronic Obstructive Pulmonary Disease (COPD) is a progressive lung condition that results in obstruction of airflow in the breathing tubes or airways of the lungs. It causes narrowing of the bronchial tubes in the lungs (sometimes called bronchi or airways), making it difficult to breathe. COPD is an umbrella term for a group of lung conditions including emphysema, chronic bronchitis and chronic asthma. Symptoms of lung disease, such as Chronic Obstructive Pulmonary Disease (COPD), tend to creep up slowly and people often automatically adjust their daily activities to accommodate symptoms rather than getting help. Contrary to what people think, breathlessness is not a normal part of ageing. Likewise, a persistent or changed cough shouldn’t be dismissed as the flu or a cold. Taking longer to recover from a cold or chest infection. Anyone can get COPD. 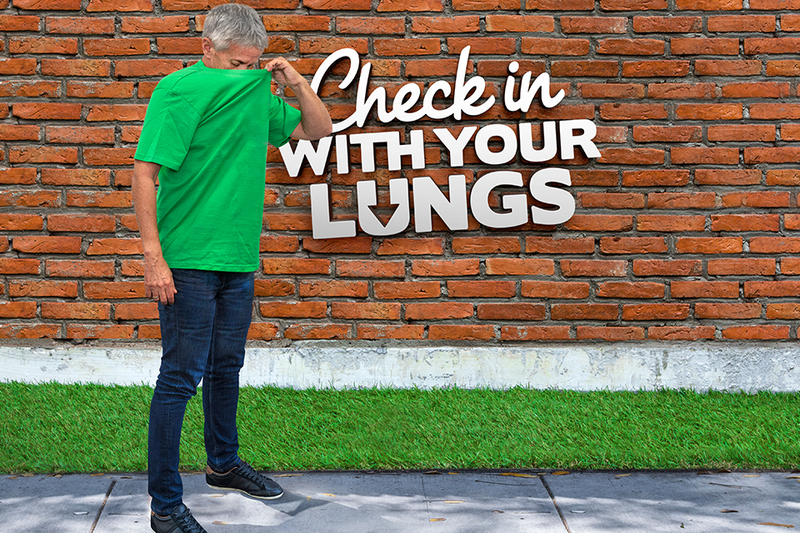 Take two minutes to check your lung health. COPD doesn’t discriminate. It affects men, women, current smokers, ex-smokers and even never smokers. Read these stories about real people living with COPD, the symptoms they experienced and how they coped with their diagnosis. National Health Performance Authority 2015, Health Communities: Potentially preventable hospitalisations in 2013-14. Aboriginal and Torres Strait Islander Australians have approximately 2.5 times the rate of COPD as other Australians. Australian Institute of Health and Welfare. Health and Welfare of Australia’s Aboriginal and Torres Strait Islander Peoples, Canberra, AIHW, 2015.